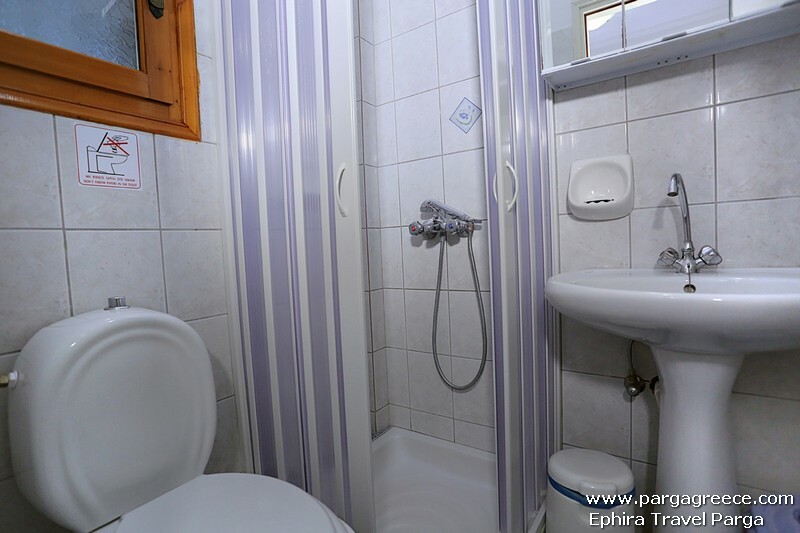 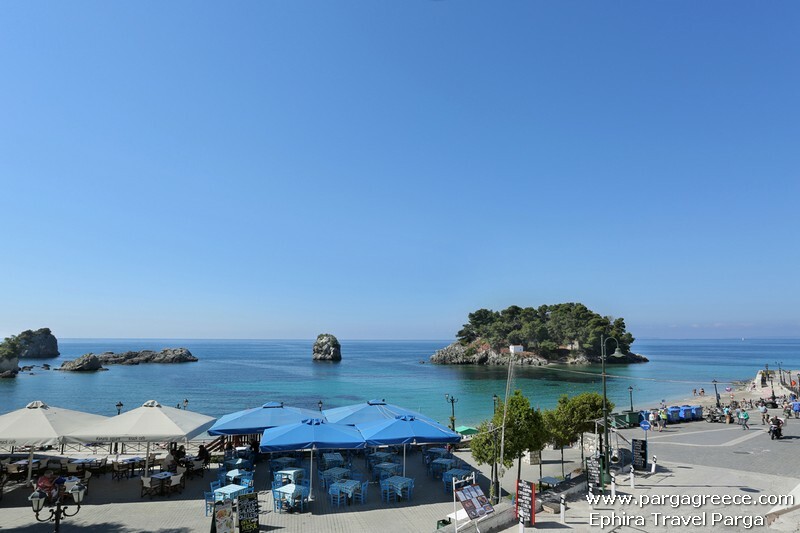 This(Fully renovated) accommodation with Sea views,located in the centre of Parga,above Kryoneri beach (the town beach of Parga),Ioffer 6 Studios and is an Ideal accommodation for everyone.Only a few metres away from the historical centre of Parga, the port of Parga,the restaurants ,cafes ,shops ,Super markets and Mini Markets,offer The desire Holiday. 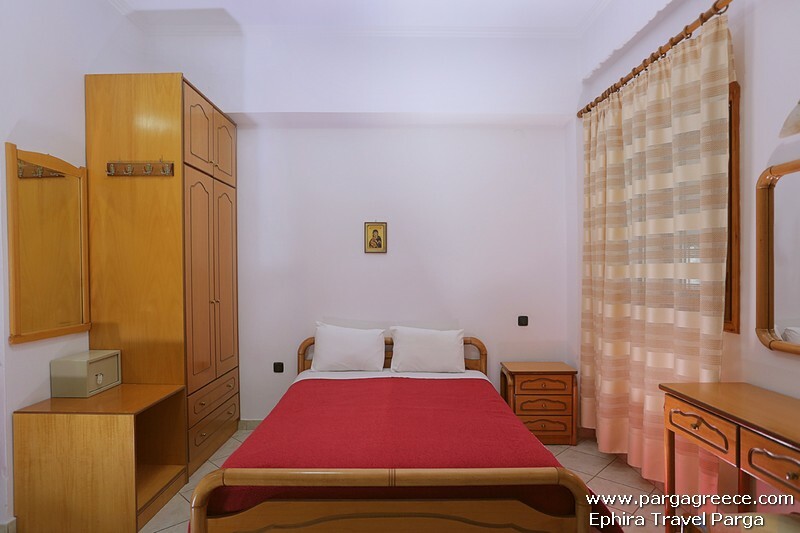 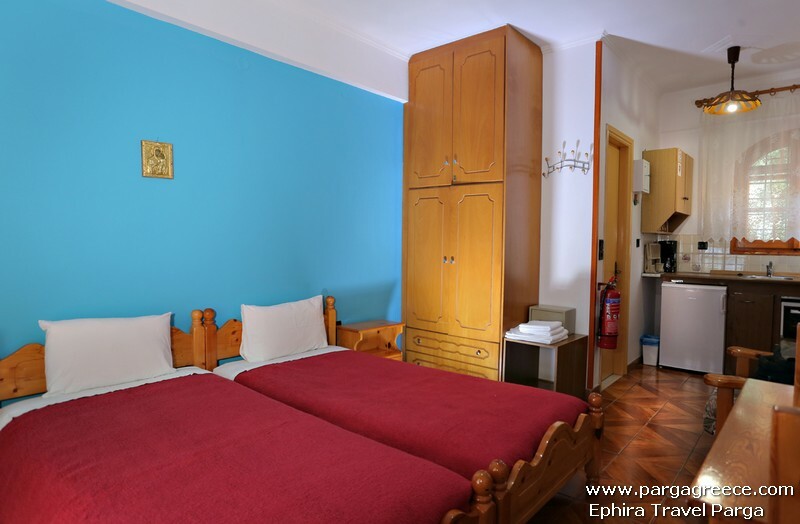 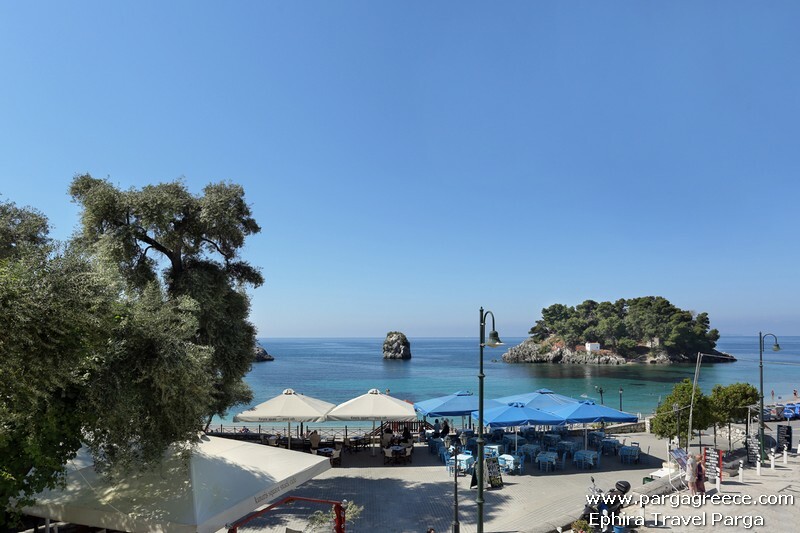 Ιdeal accommodation for guests who prefer to spend their holidays very close to the beach,only a short walk from the centre of Parga and with beautifull sea views. 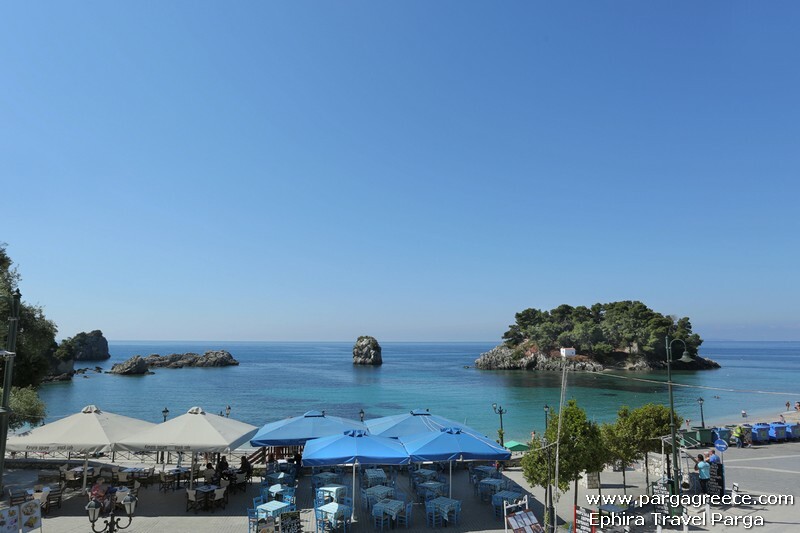 There are aslo 4 Standard Studios ( with double or 2 single beds) with Sea views. 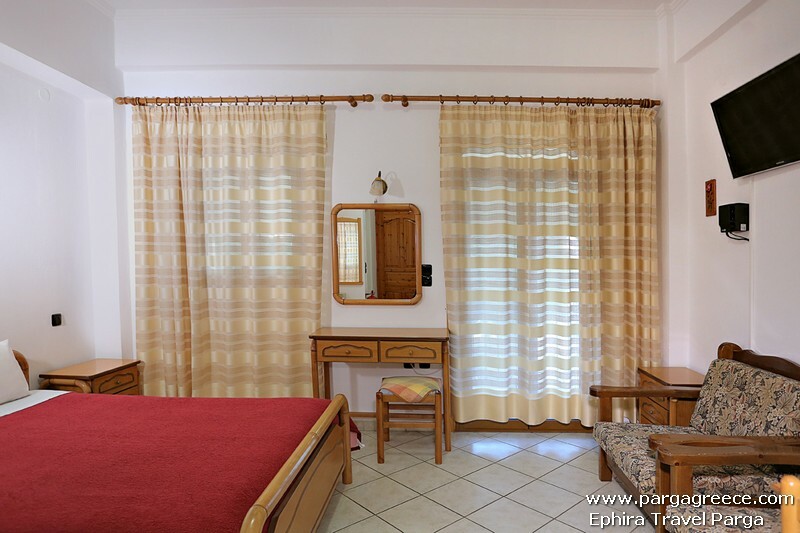 All studios offer private balconies with sea view and each Studio offers, bedroom, with (a Double or two single beds) a kitchenette in the corner and a private bathroom. 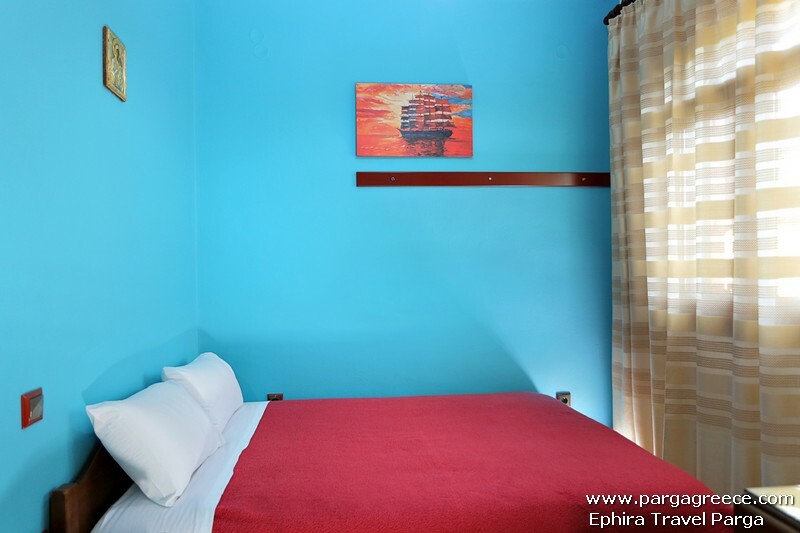 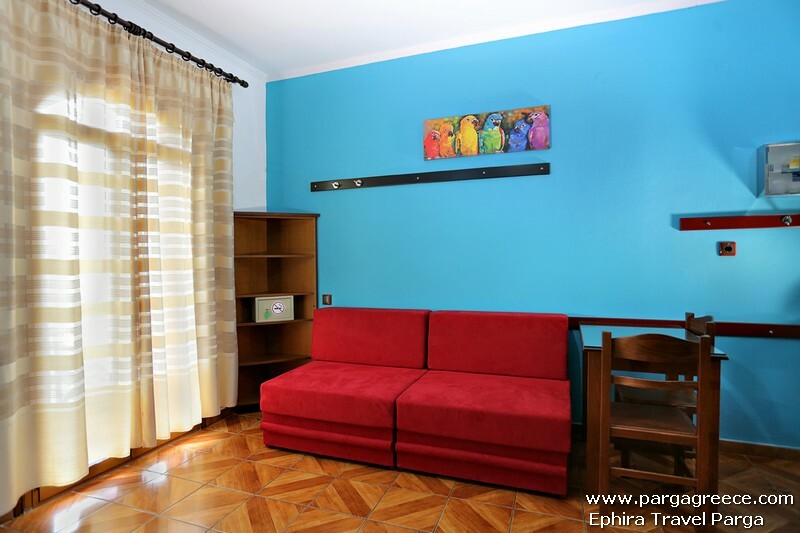 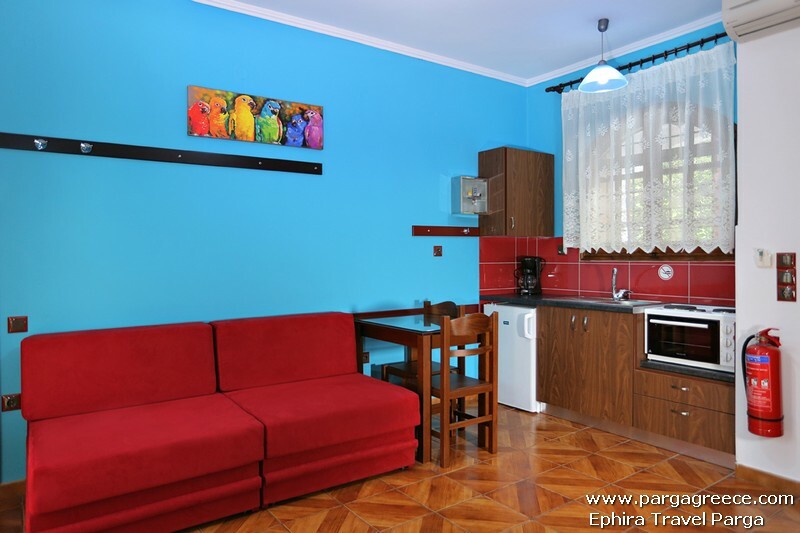 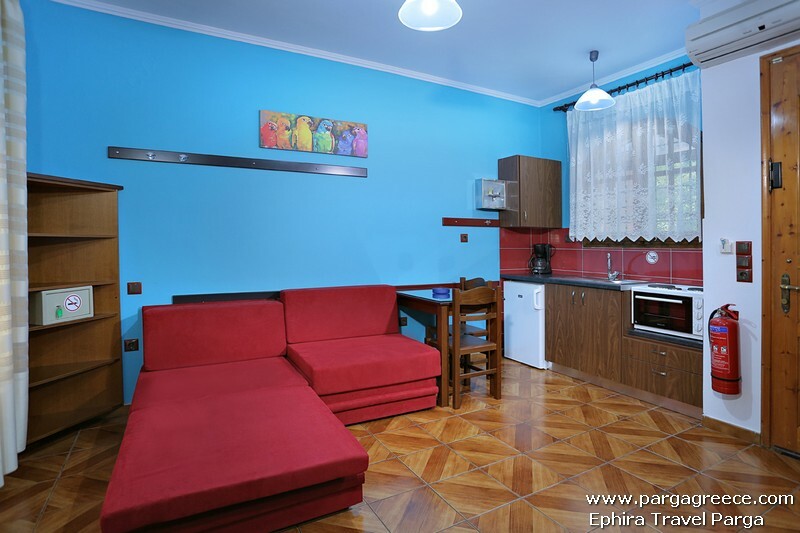 All these well appointed, attractive studios have air conditioning television, wireless Internet ,daily cleaning ,and changing of the bed and towel linean twich per week and also (doors, windows with double glasses). 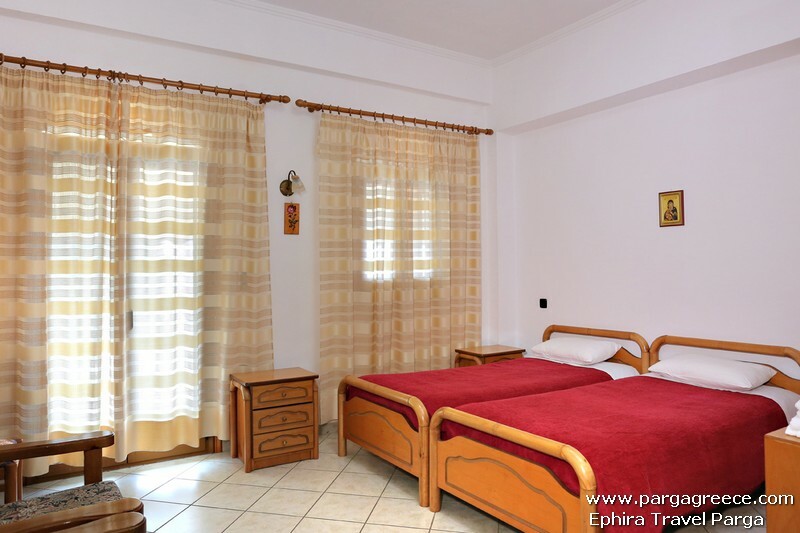 This perfect and Ideal accommodation offer to Guests a dreamed Holiday. 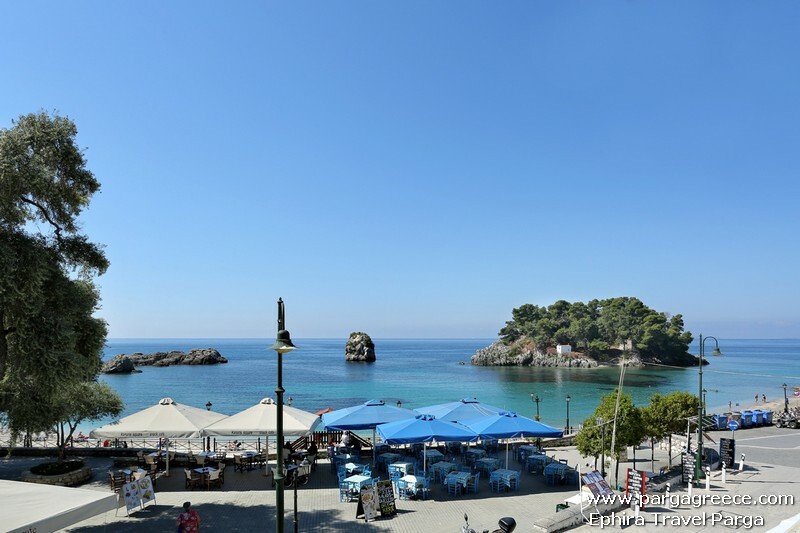 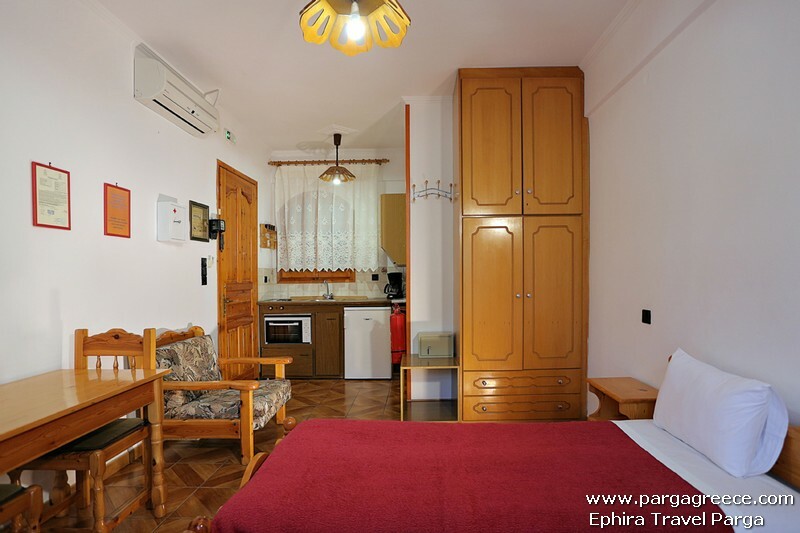 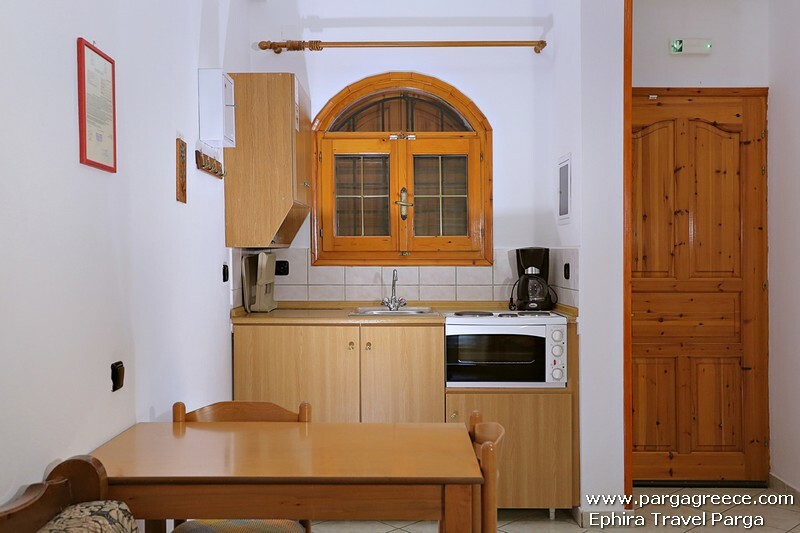 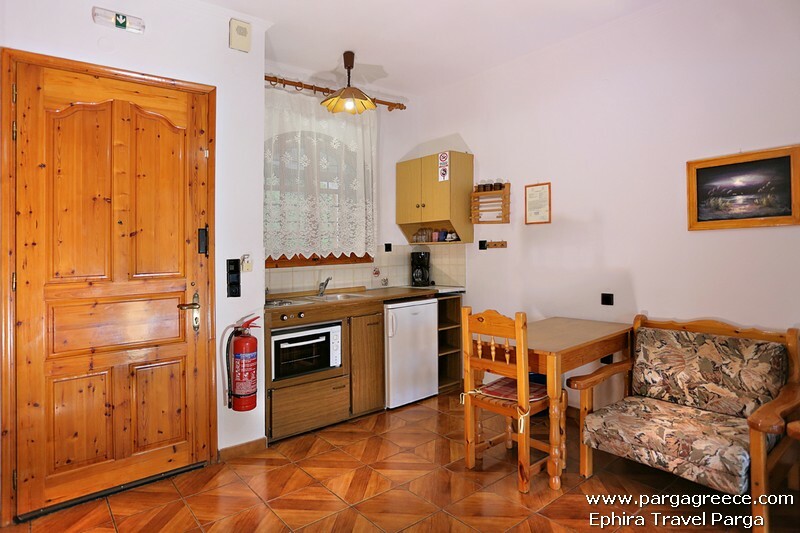 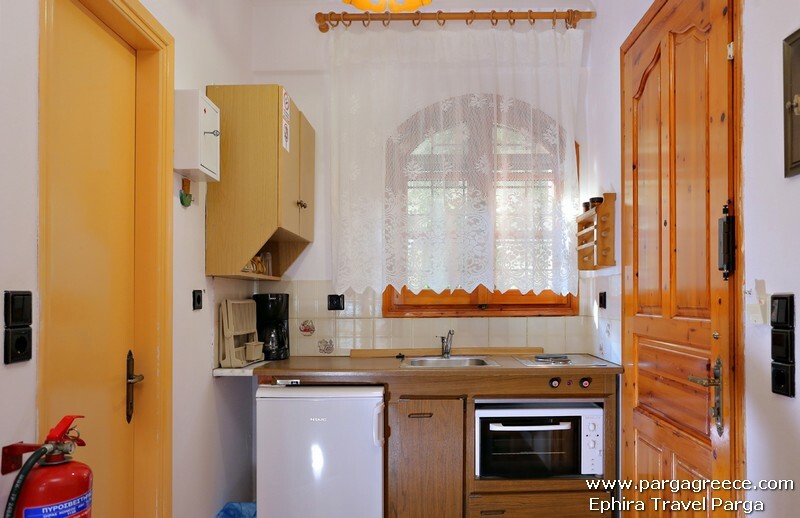 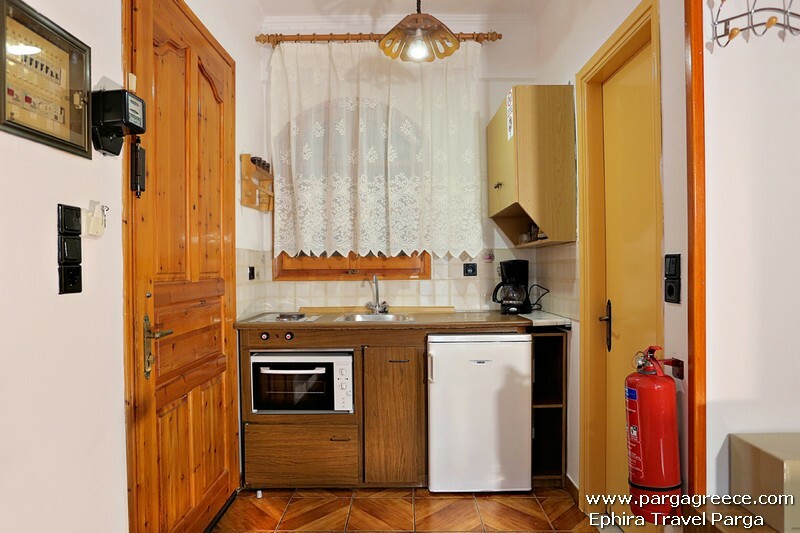 Everyting near by, few meters from the sea,few meters form the beach,few meters from the Historical centre of Parga, few meters form shops,restaurants,caffes and with fantastick sea views. 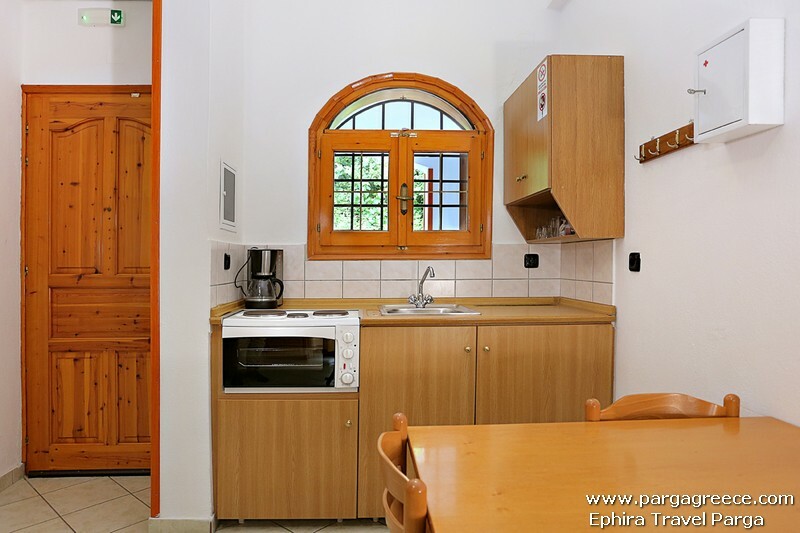 All these advantages plus the Greek Hospitality of the owners will make guests to return to this accommodation next year and the year after .